It was hard to keep up with the Spartans’ cross country teams last weekend, and not just because they were running so fast. Both the men’s and women’s teams split into two and ran in two different races last Saturday at the Yellowjacket Invitational in Rochester, N.Y. and the Behrend Invitational in Erie, Pa. The men’s team did well overall, placing second at both meets, while the women’s team did better individually. 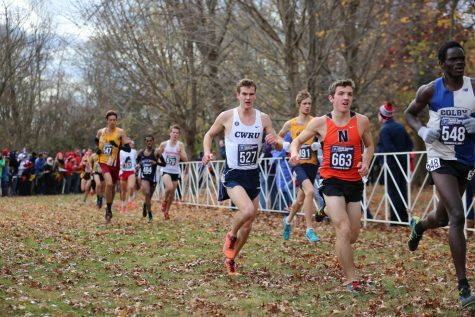 In New York, the men were led by third-year student and top runner Sam Merriman, who placed sixth overall with a time of 26:00.2. It was the first time he failed to break 26 minutes—though he missed by 0.2 seconds—in an eight kilometer race since his first year on the team. Following in his footsteps were third-year student Aidan DeSanto and fourth-year student and team captain Galen Caldwell. The two finished exactly one second apart in 15th and 16th place, DeSanto at 26:42.6 and Galen at 26:43.6. 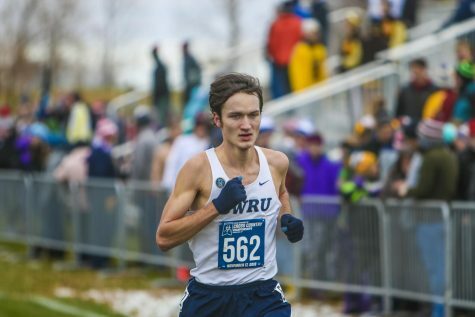 One other Spartan runner finished in the top 30, and that was first-year student Luke Robbins who finished in 30th place with a time of 27:05.0. 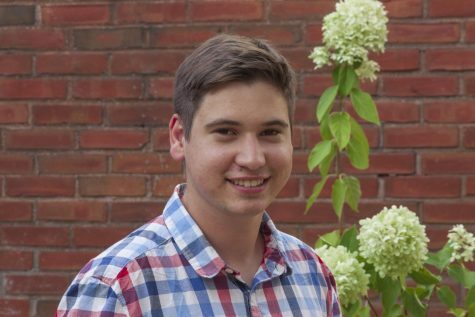 Second-year student James De La Cruz barely missed the cut, finishing 4.2 seconds behind Robbins in 31st place. Overall CWRU secured 98 points in the meet, good enough for second place. The University of Mount Union won the meet with 62 points. The women’s team produced solid results at Rochester, finishing fifth out of 27 teams with 187 points. Leading the pack was third-year student and team captain Danielle Kulpins. She placed 17th overall, finishing the race in 22:53.2. It was the second-fastest six kilometer race in her career. Next for the Spartans was second-year student Jennifer Hoffmann, clocking in at 23:25.4, good for 24th place. First-year student Vanessa Pasadyn was the only other Spartan runner to break 24 minutes at the race, finishing with a time of 23:52.0 in 36th place. Even though there were fewer teams competing at the Behrend Invitational, 11 compared to 29, the men’s team still finished in second place with 53 points. The women’s team was not as fortunate. Out of the 13 teams at the competition, they had the eighth fewest points. Leading the men were fourth-year students Patrick Leo and Andrew Hamm. Leo was the fifth person to cross the finish line, doing so at the 28:52.9 minute mark, while Hamm finished 10 seconds later in eighth place. Other top 15 finishers include third-year student Ryan Honens (12th) and second-year student Robert Iriye (15th). 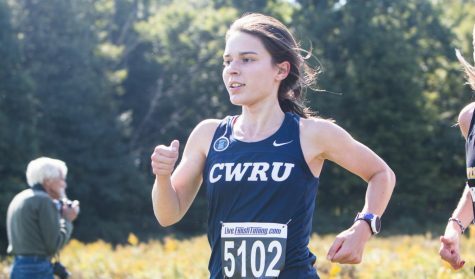 First-year student Mallorie Mitchem was the first women to finish for CWRU in Erie. She had a time of 22:37.8, good for 33rd place. Two other Spartans finished in the top 50: first-year students Gillian Prater-Lee (35th) and Micah Pollak (49th). Prater-Lee finished 10.4 seconds behind Mitchem, with Pollak crossing the line almost a minute later. Both cross country teams are looking forward to being back at full strength. Their next meet is the All-Ohio Championships, held in Cedarville, Ohio on Sept. 30.